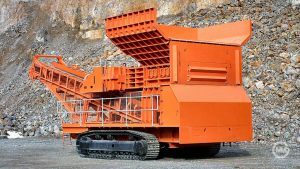 For the ultimate in cost savings, environmental mining and portability, fully mobile Sizer units enable the use of efficient conveyor haulage directly from the mine face. 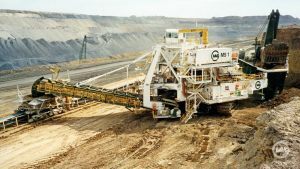 They move frequently to work directly with the excavator, whilst sizing and delivering conveyable material onto the conveyor haulage system, eliminating trucks and their associated costs, safety risks and environmental impact. 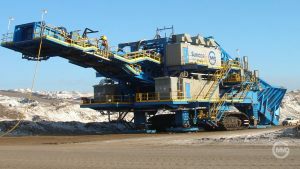 Fully mobile sizing units enable efficient conveyor haulage directly from the mine face maximising the economic, environmental and safety advantages of installing an IPSC system. 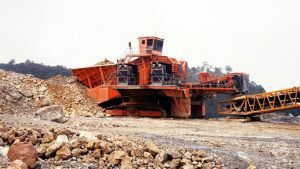 MMD has, throughout its existence, developed purpose designed mobile units to suit any mining method and material. 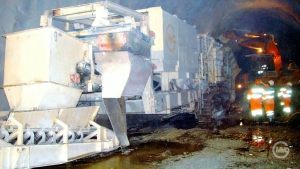 The whole range of Sizers can be incorporated into a wide range of transport options available to suit the duties and throughput required. 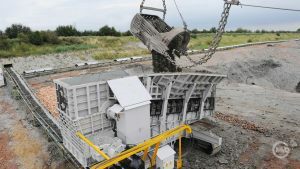 Through the use of the well established components such as the twin shaft Sizer and heavy duty apron plate feeder, MMD fully mobile units deliver the reliability and robustness required for IPSC operations.